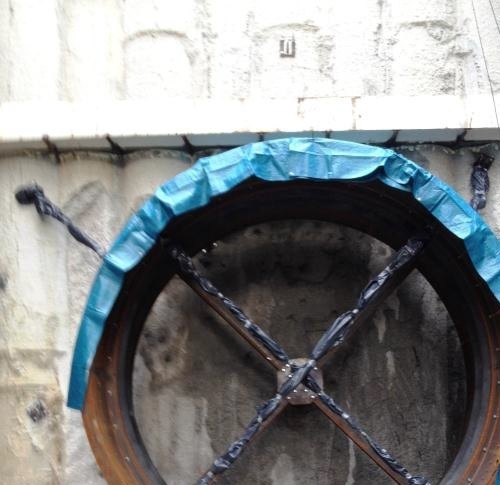 To enable positioning of the tunnel boring machine (TBM) being used to drive the Corrib Tunnel in Glenamoy, Eire, BAM Ritchies used a structural steel start ring was installed and securely fixed into position to provide an accurate start point for the tunnel axis. 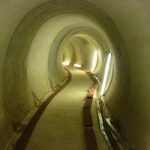 To secure the start ring rapidly within the secant piled headwall, all voids around the start ring were infilled with a 40 N/mm2 accelerated sprayed concrete material applied by the dry sprayed method. 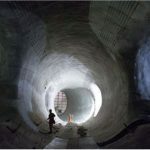 The use of sprayed concrete eliminated the need for any conventional formwork, thereby making the void filling exercise considerably less complicated, with a saving on programme time and resources required on site. For safety considerations the sprayed concrete equipment, materials and ancillary plant were located at ground level, approximately 10m above the works, with only the essential operational personnel being allowed within the works area.